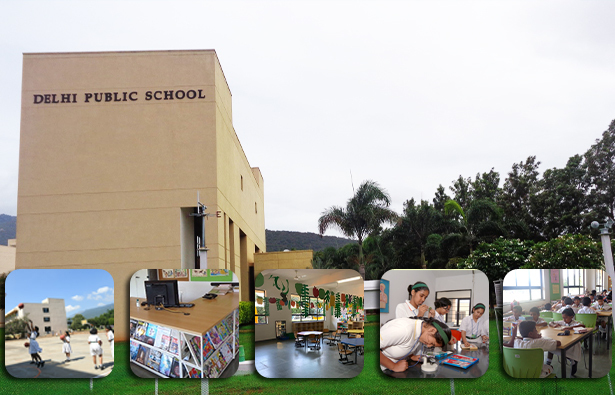 DPS Coimbatore is spread over six acres in Village Onapalayam, Vadavalli - Thondanuthur Road, Coimbatore. A marvel of modern architecture, the campus contains well-lit airy classrooms, outdoor theatre, swimming pool, spacious courtyards for indoor games, and beautifully landscaped lawns. Apart from the basic necessities which are kept clean and hygienic at all times with the help of most modern equipment, there are state-of-the-art computer labs, a weather station, a resource centre, and a fully equipped gymnasium. The school campus is eco-friendly with waste recycling vermicomposting plant producing vermicompost from waste for internal consumption. This school is not merely a structure or a building. It is also not only an assembly of children and teachers. It is a place that shapes their thoughts, where they see knowledge come alive. It makes them wonder and feel creative. It propels them to raise questions, explore answers, identify problems and attempt solutions. Its environment itself is a learning aid. The physical environment of buildings and spaces is such that it makes learning experience more meaningful. Its design therefore is sensitive to children’s needs. 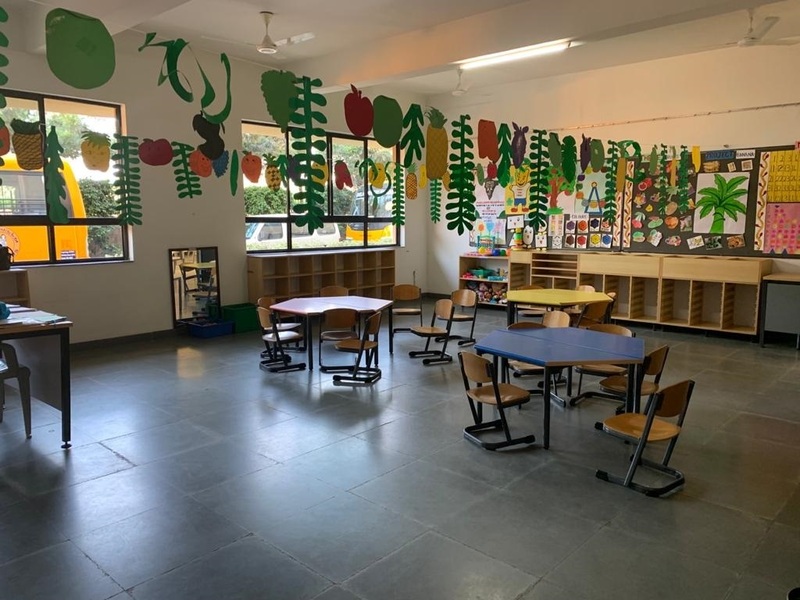 Hence, all constituent elements of building such as lighting, ventilation, space support diverse activities of learning. The building creates a relationship with the child. Our carefully thought out of building plan introduces a multiple-intelligence aspect to a child’s learning. This makes learning a joyous journey filled with continuous thrill. Children create self-learning situations. It inspires them to learn from the physical environment in such a way that the emotional environment is in sync with it. Thus, kinaesthetic, cognitive and social domains of learning get intertwined leading to creation of a whole. Is education not all about holistic development? DPS Coimbatore continuously endeavours towards this goal. Introducing little minds to the world of knowledge needs carefully crafted lessons in learning use of resources. But what can be expected for a child who is learning to read and write! A reading corner – an important and active component of learning centres in the classroom is an encouraging time for children to touch, view and attempt to read stories. Storytelling introduces them to the books they find in this corner and gradually they grow to develop vocabulary, comprehension and fluency. You can find them sharing their excitement about stories they read…and all the effort carefully put in to help them achieve this feels worthwhile for Classes I to III. As children grow so does their curiosity. It is therefore time to help them know how to fish information from the sea of knowledge that books store. Class libraries continue as an integral part of their class activity, only now they also learn how to manage and get disciplined about living respectably with books. The books they read in class IV and V are suitably selected for their age and include a wide variety of genres that contain today's favourites, informative nonfiction, and captivating titles for Independent Reading. In the mean time when our children visit the Resource Centre we try to develop the art of identifying resources, and the power to use them to satiate their curiosity. This is also the age when we introduce them to use resources to understand useful and exciting articles from magazines that create in them an appreciation of the real world and its beauty. Our resource center provides a pleasant environment for learning. Its ever expanding resources help each user find relevant resource. Children are encouraged to use these resources as and when they need it and it is our endeavour to make information available to them when needed. The collection includes a variety of genres that cater to all ages and varied interests. Besides, it harbours an unusual collection of even basic knowledge banks like encyclopedia for all ages. We, through our resource centre, also subscribe to exquisite magazines that our school grows on. The selection of magazines takes into account the best in the varied fields of interests and encourages all users to access them freely. Teachers and students each have food for thought here and positive growth therefore becomes inevitable.